DO NOT respond to the message under any circumstances. Furthermore, Burling Bank’s website should never be accessed from a link provided by a third party. 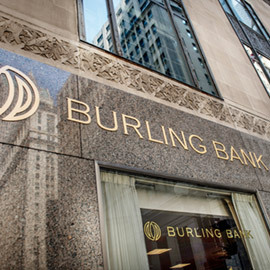 It should only be accessed by typing our website address (www.burlingbank.com) into the web browser. As always, please feel free to contact us should you wish to discuss any issues regarding the protection of your personal information. Phishing. They claim to be financial institutions or companies and send spam or pop-up messages to get you to reveal your personal information.